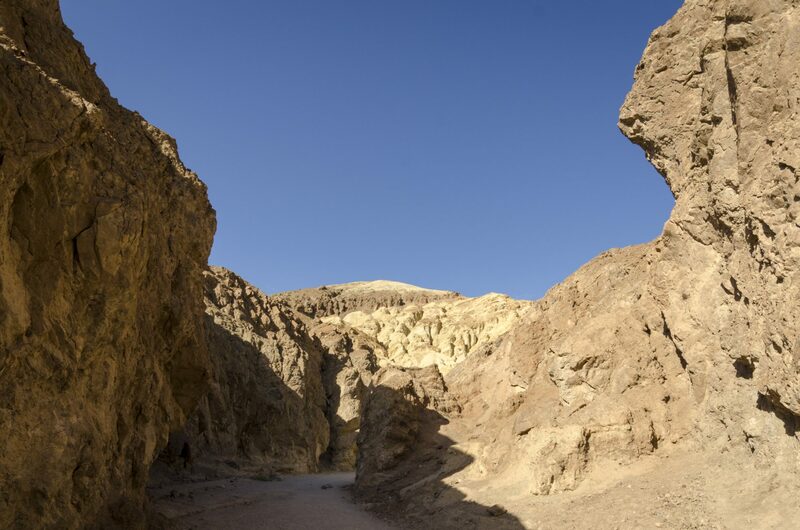 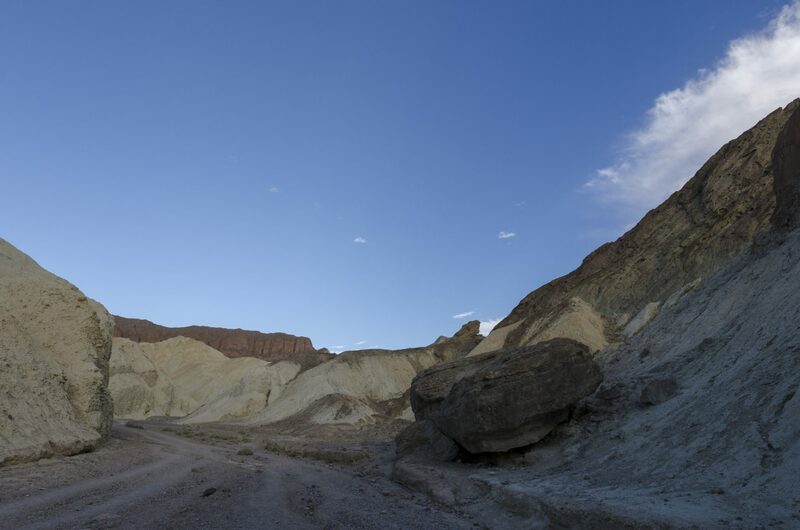 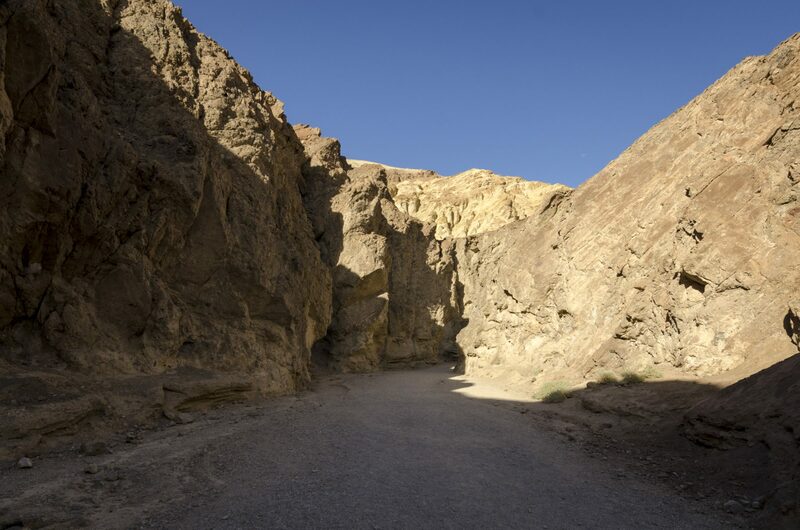 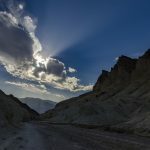 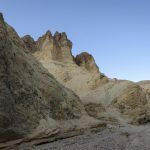 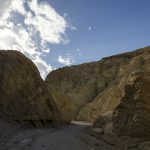 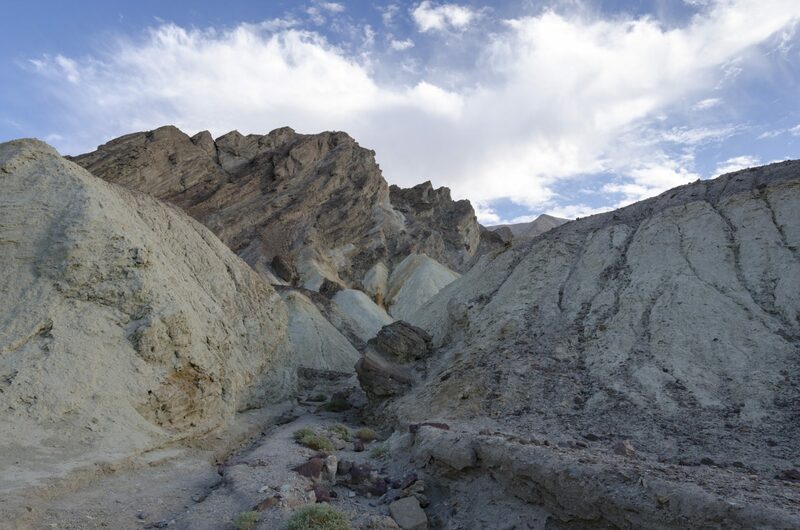 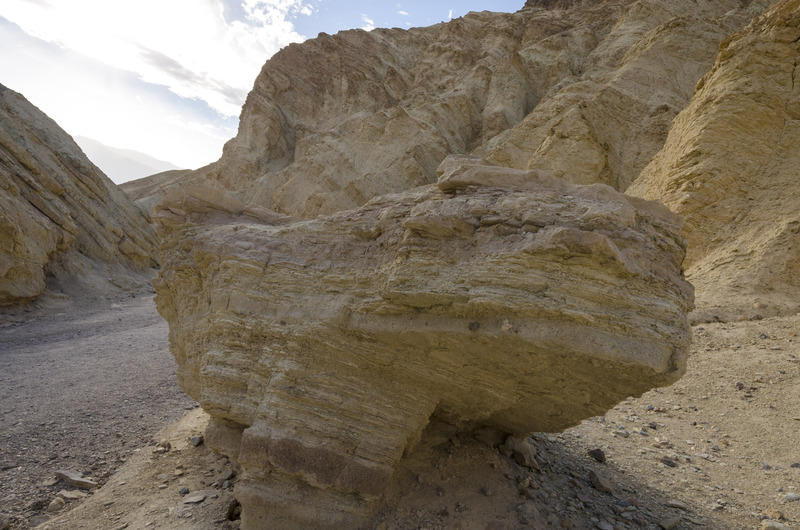 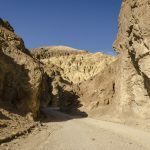 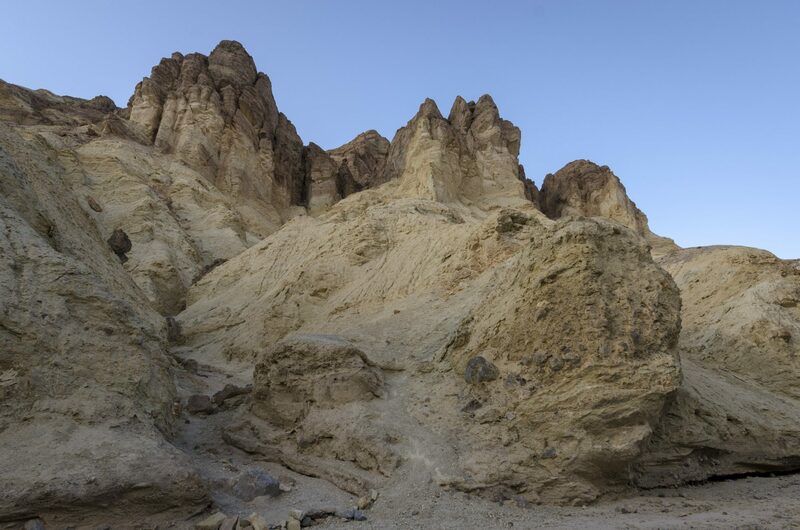 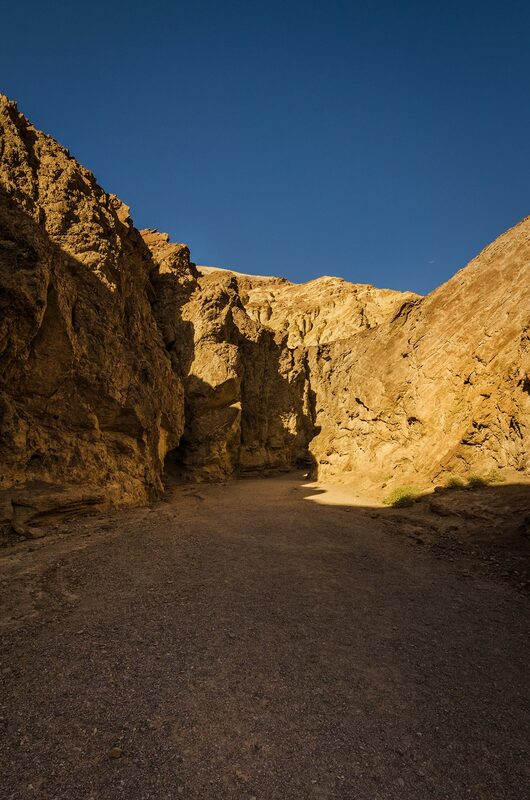 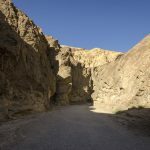 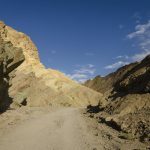 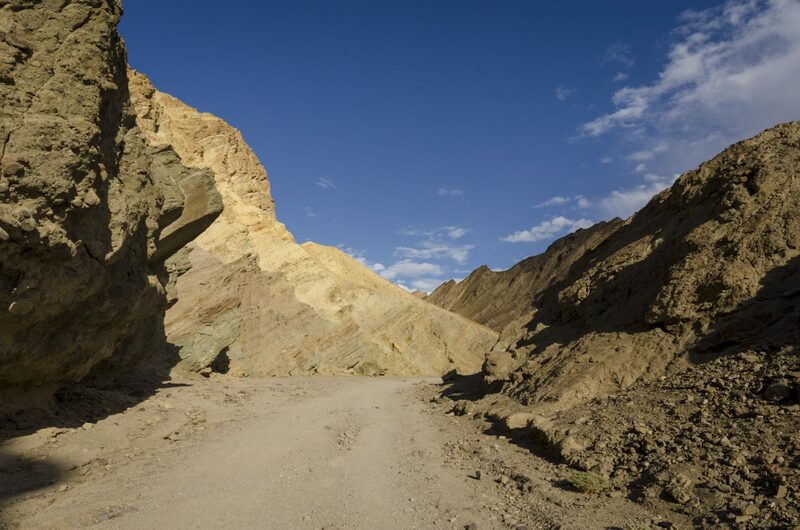 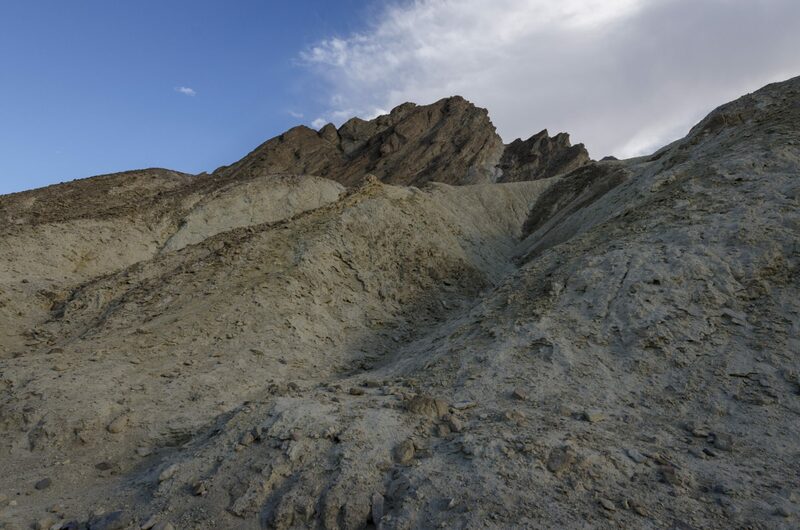 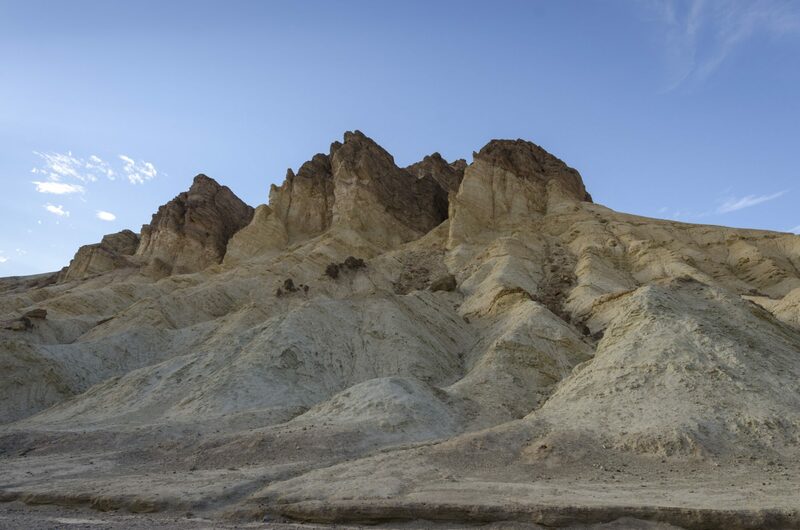 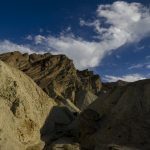 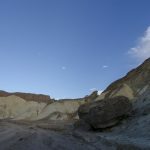 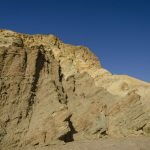 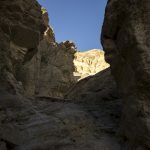 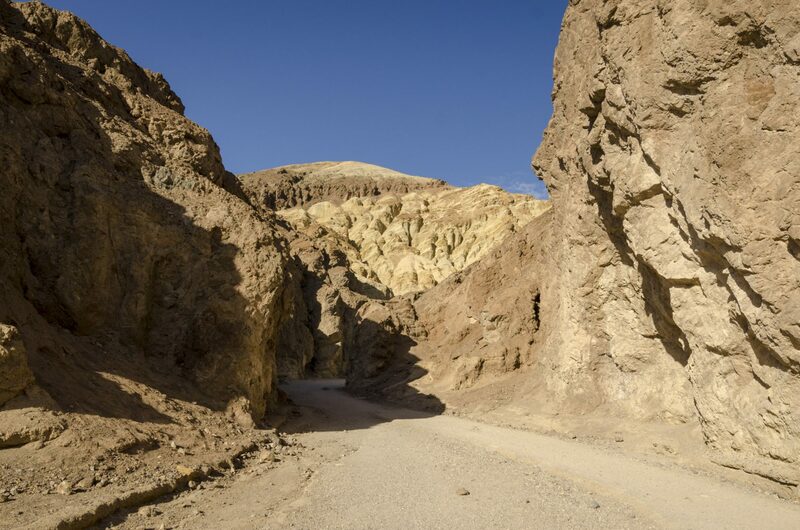 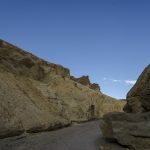 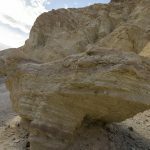 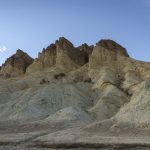 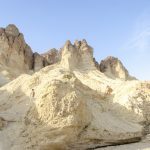 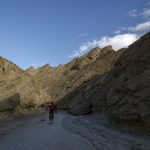 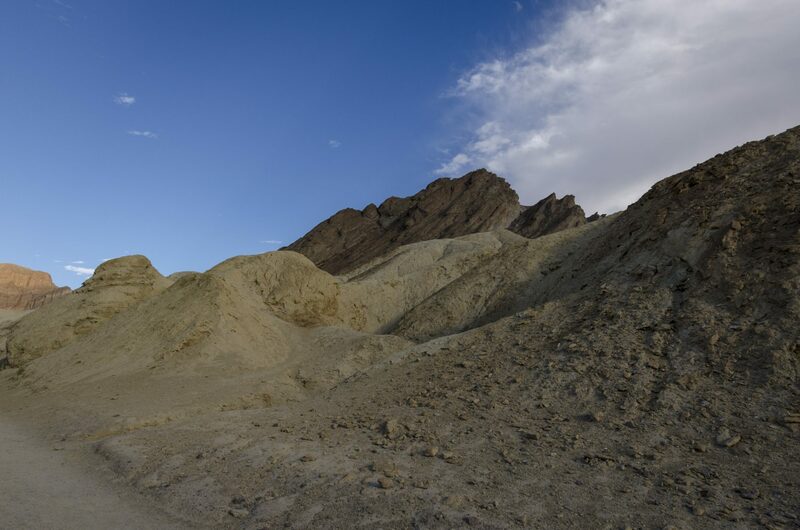 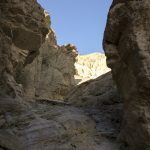 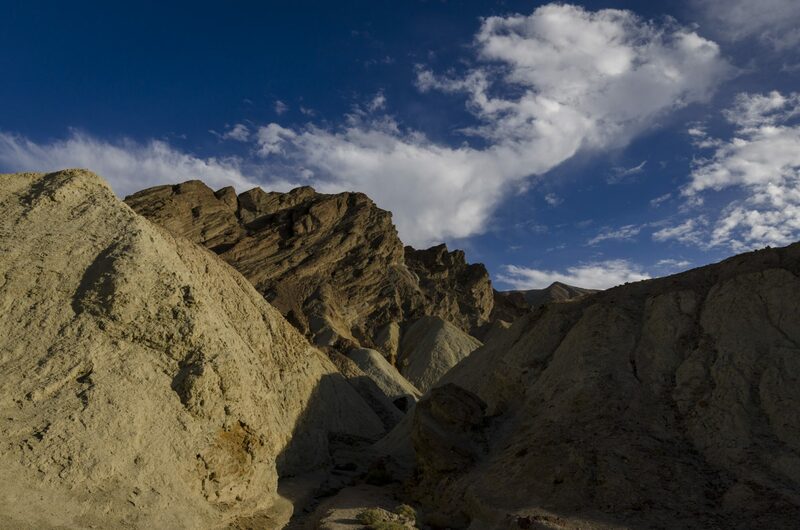 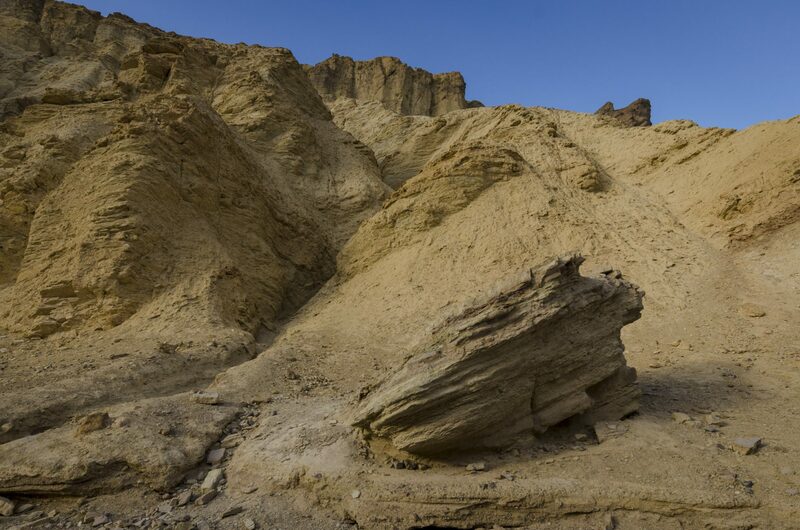 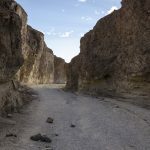 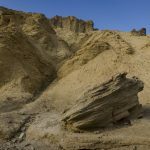 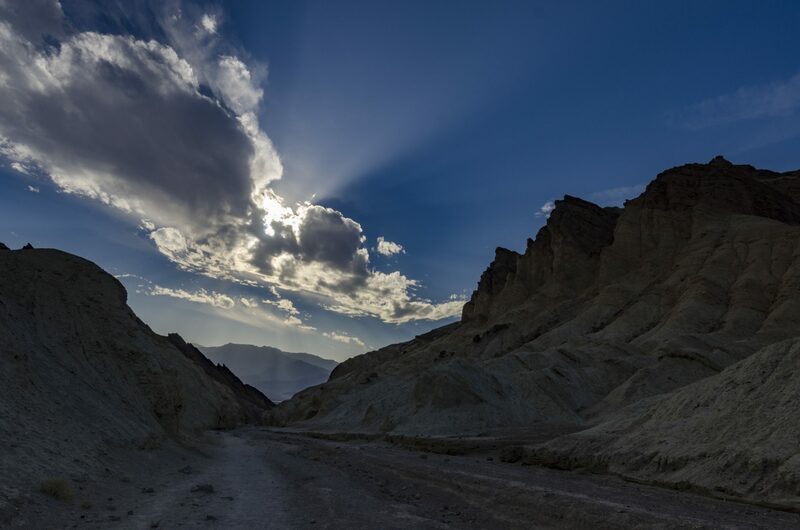 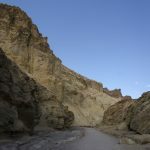 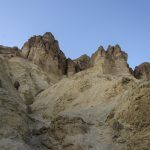 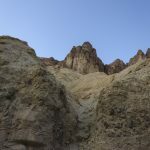 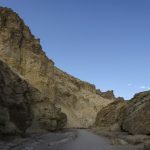 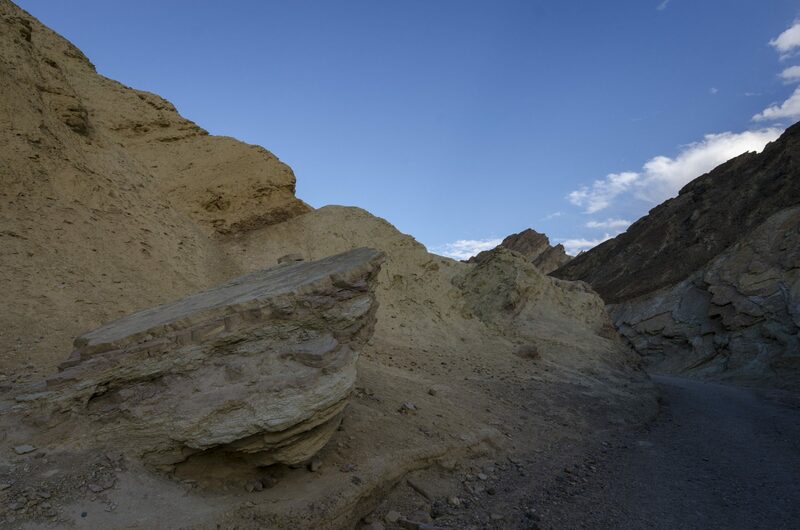 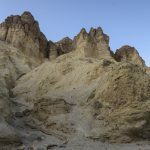 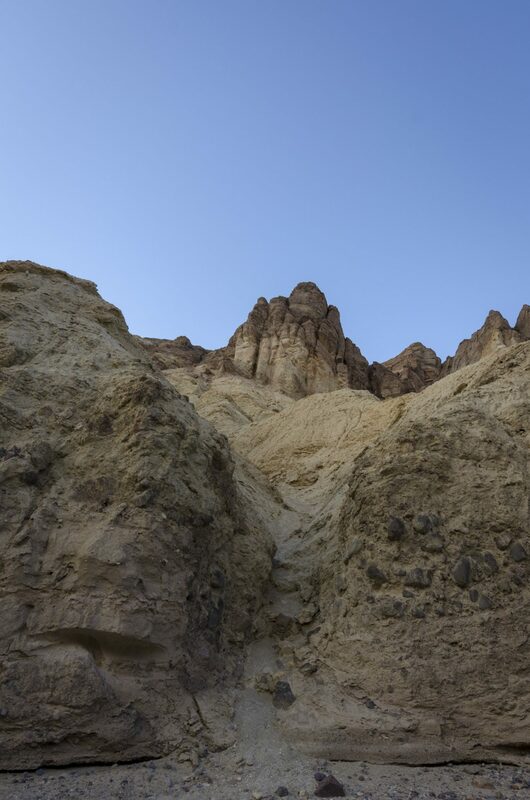 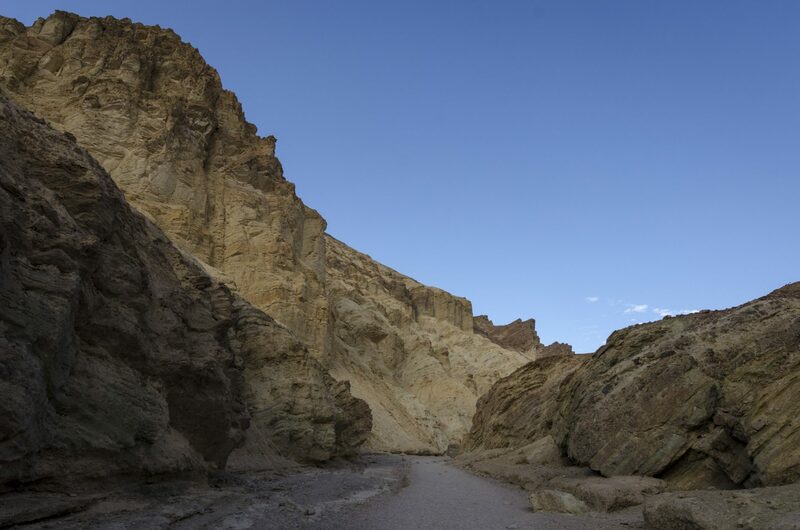 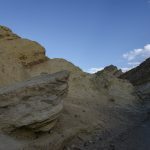 The Golden Canyon is probably one of the most popular hiking destinations in all of Death Valley National Park because of the famous movie “The Star Wars”. 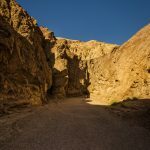 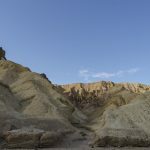 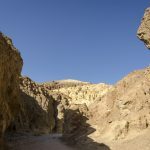 This canyon was named appropriately as the entire canyon landscape is filled with golden colored minerals along the hills and winding narrow canyons. 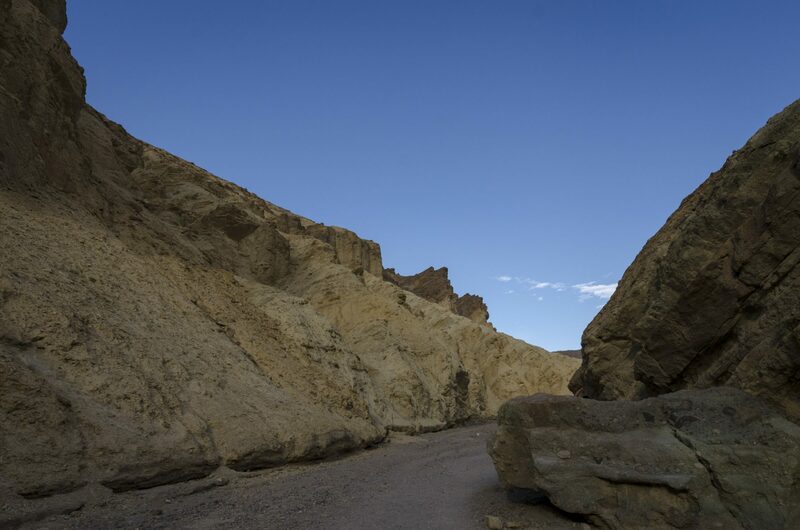 This is an interpretive trail. 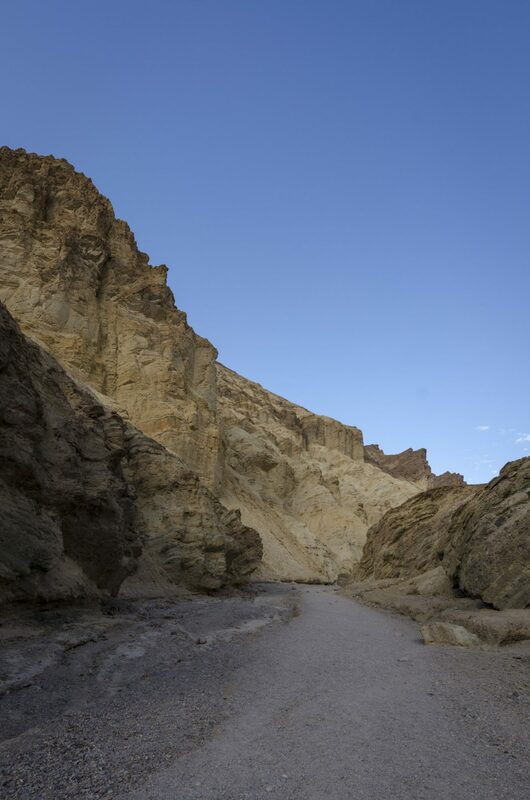 The trail guide is available for purchase at the Kiosk at the Golden Canyon trail head / Parking lot or at the Furnace Creek Visitors Center. 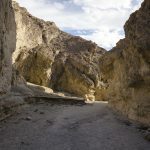 You will find a 3-mile long trail here, with a few other trails branching out of it. 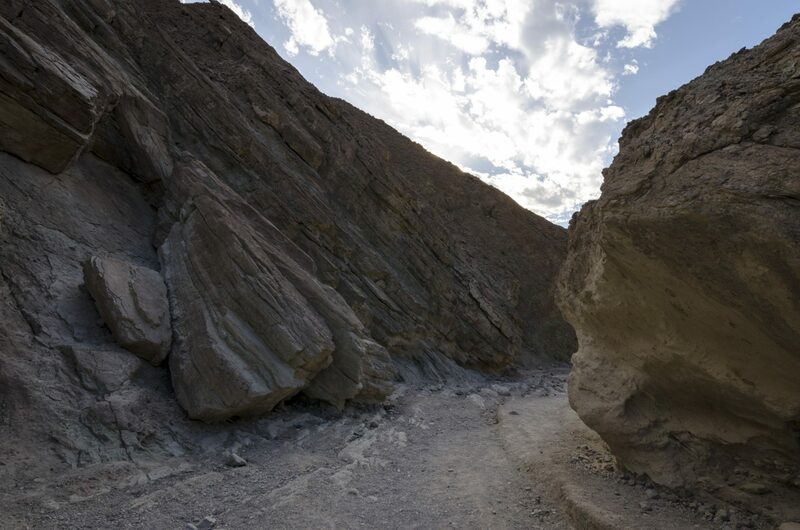 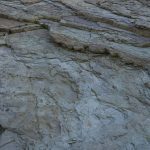 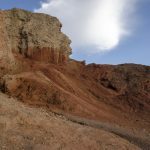 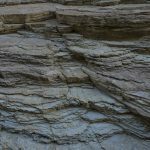 On these trails, you would see gaping canyons, giant boulders, and plain terrains. 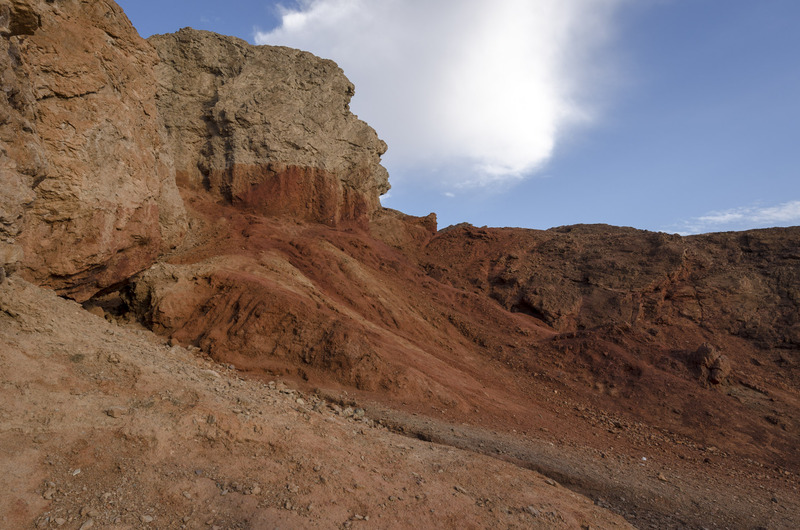 At the end of the main trail, you will find the massive red rock, known as the Red Cathedral. 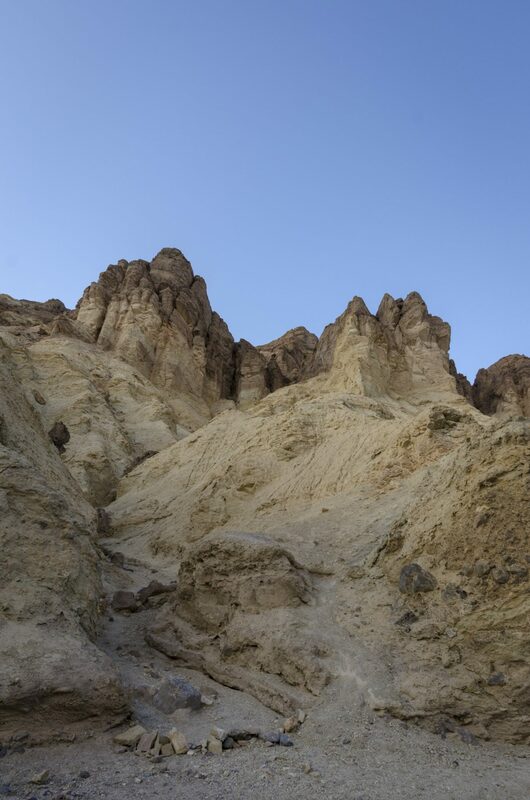 The Golden Canyon got even more popular after some scenes from the Star Wars movie were filmed here. 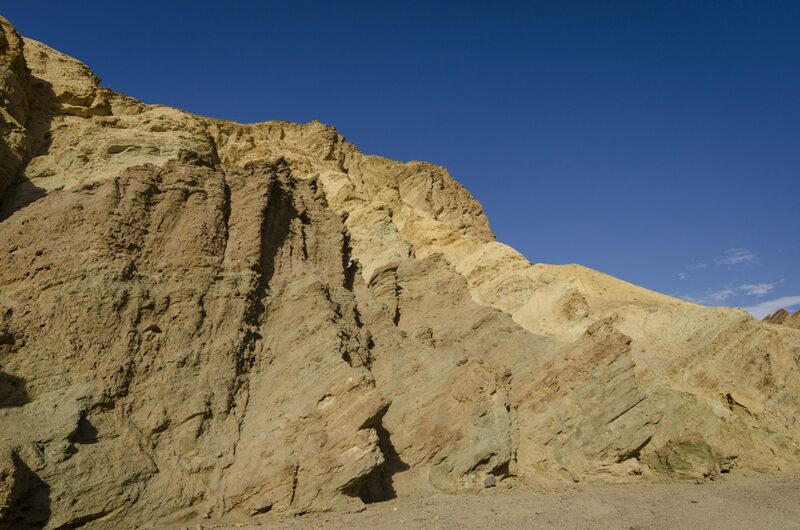 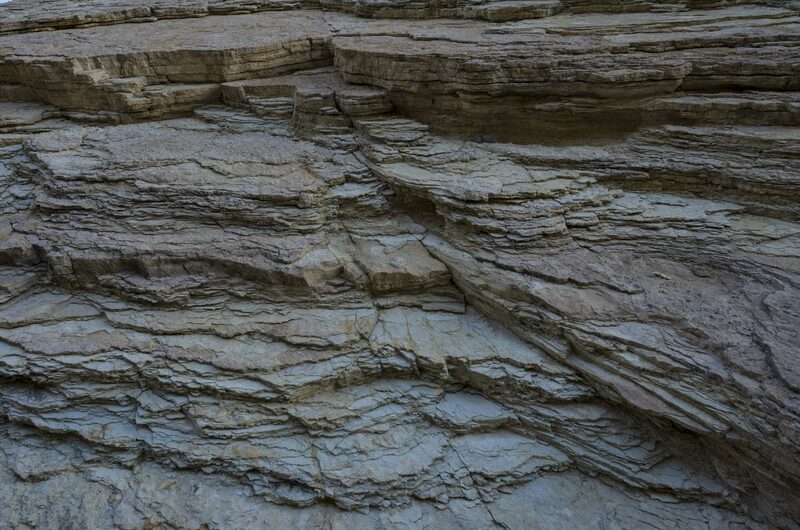 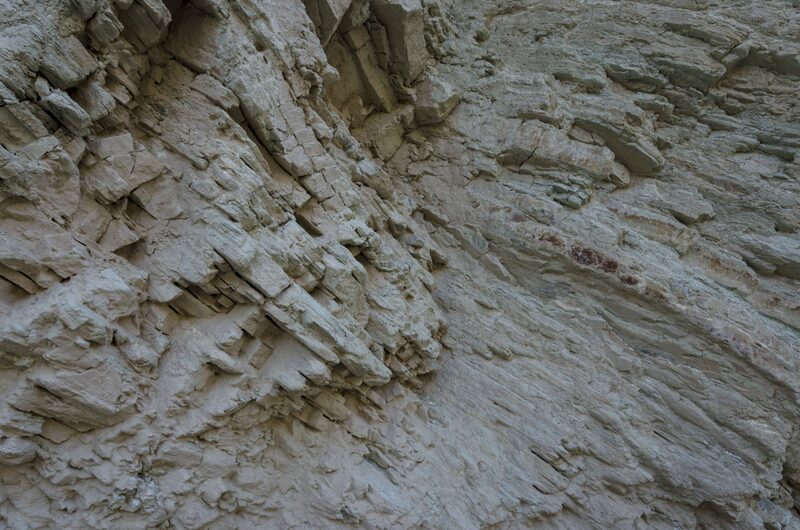 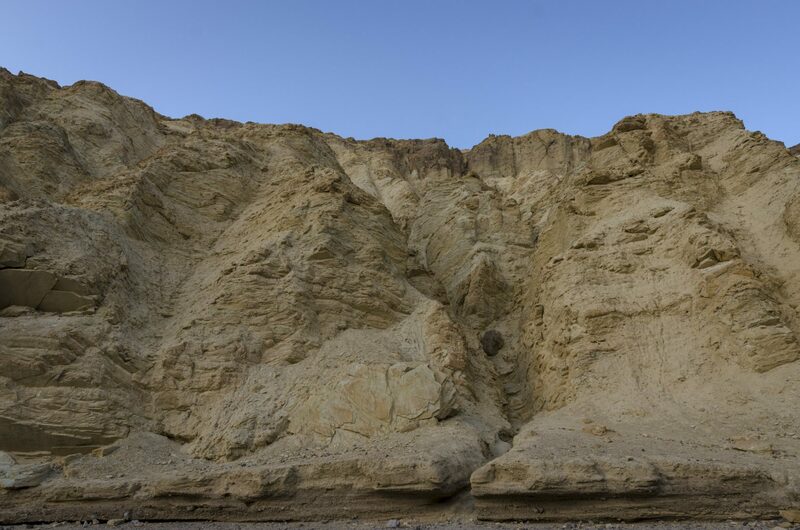 This canyon is sometimes referred to as the Star Wars Canyon because of that. 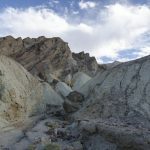 Don’t confuse this nickname with the Rainbow Canyon near Father Crowley overlook. 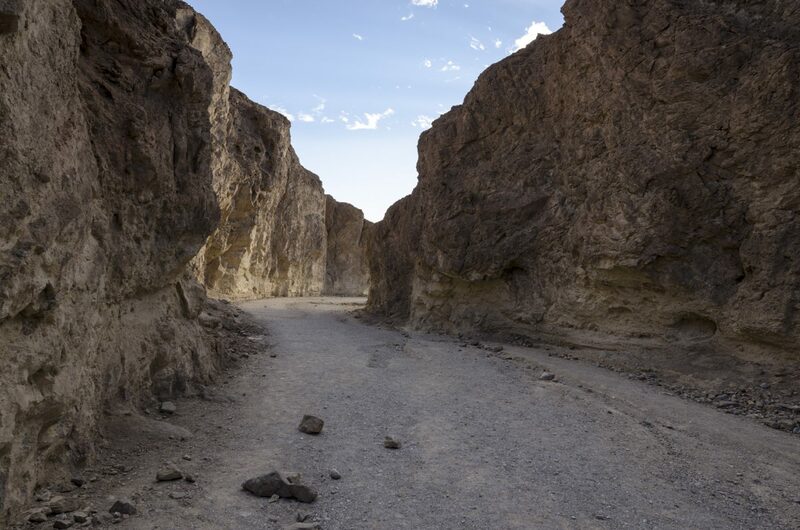 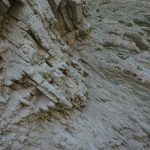 That is also called the Star War canyon, but for a totally different reason. 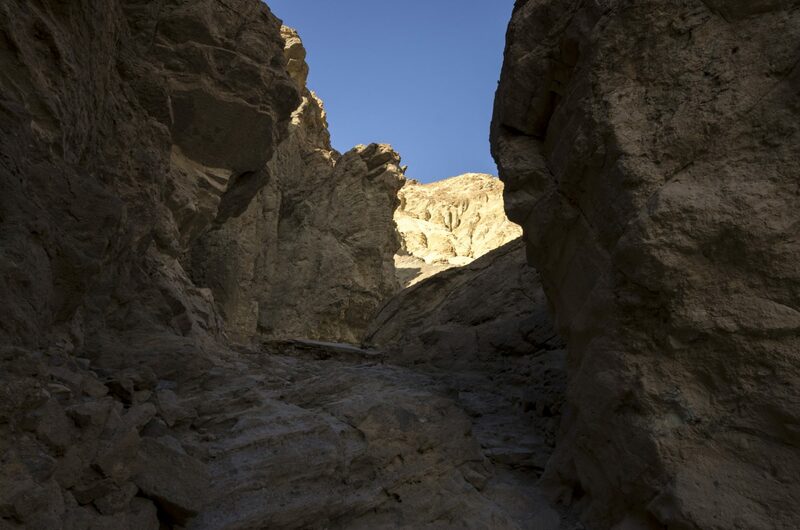 Star War Canyon was used as a codename by the fighter jet pilots when they make a maneuver into the Rainbow Canyon to notify the tower. 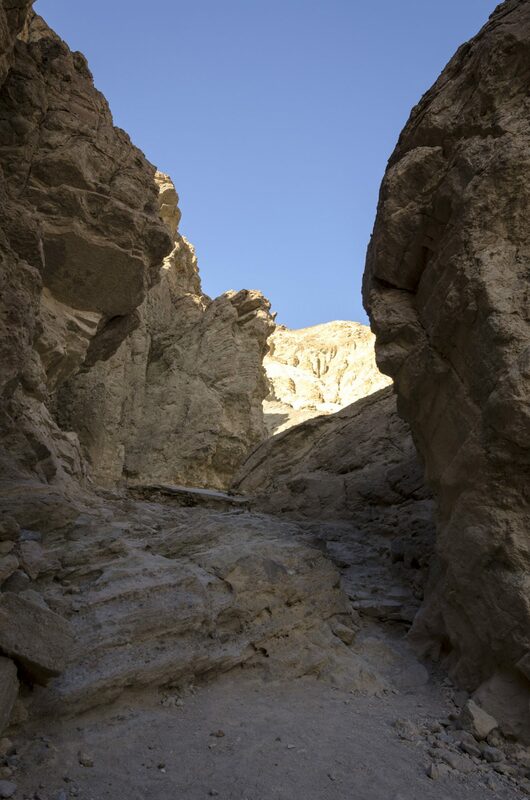 The hike into the canyon is beautiful with the elevation increasing gradually as you walk uphill. 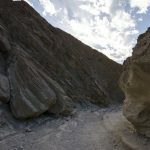 Occasionally you will have to scramble over rocks to continue the trail. About a mile into the trail, you can branch out into the trailhead. 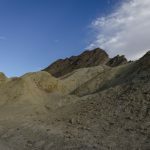 That will take you to Manly Beacon and to Grover Gluch, which is just below Zabriskie Point. 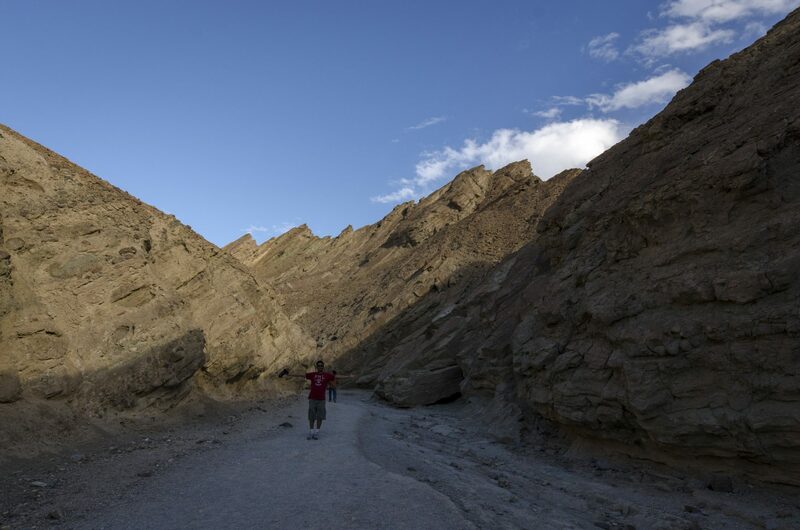 If you continue further straight, the main trail ends when you see the huge wall of red rocks called the Red Cathedral. 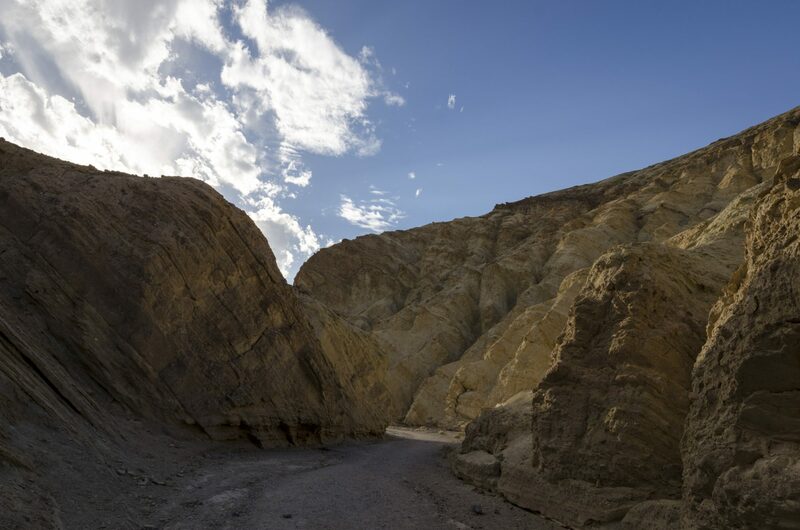 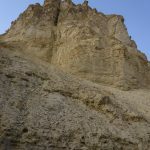 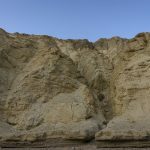 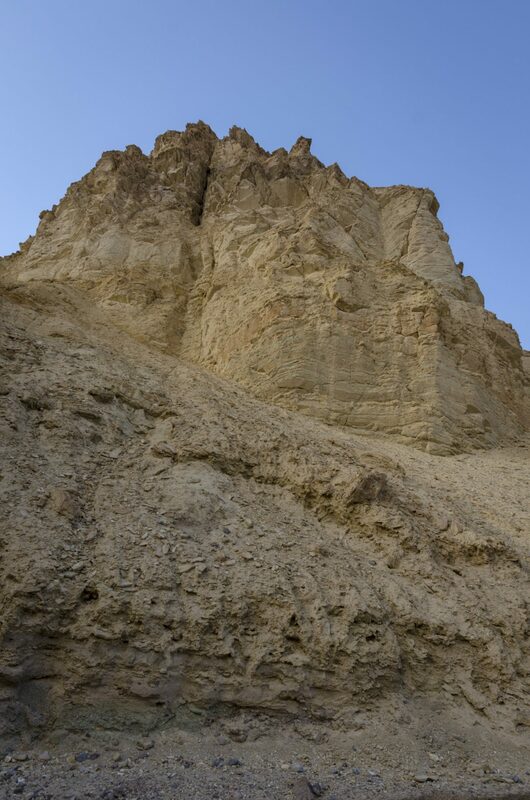 It is best to visit the Golden Canyon anytime during the day when the sun is high up in the sky. 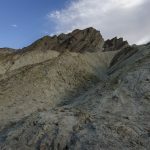 You don’t want to get lost in this trail at nights unless you have a GPS trail tracker on you. 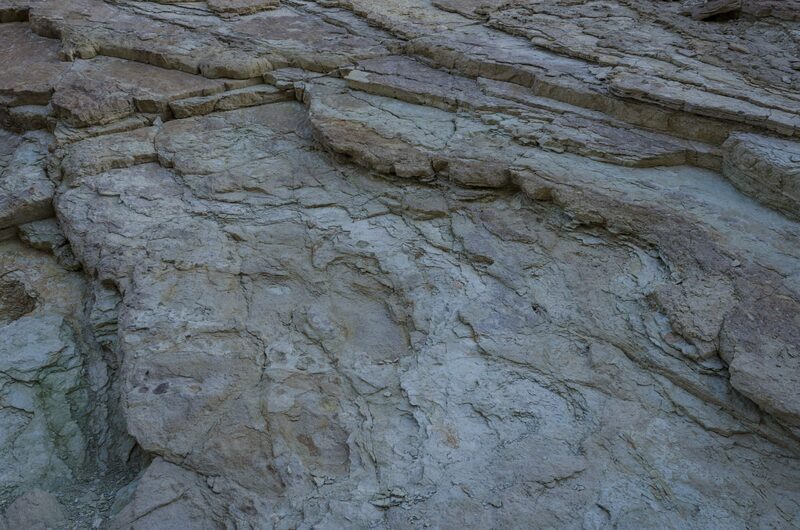 Even then, it’s not recommended. 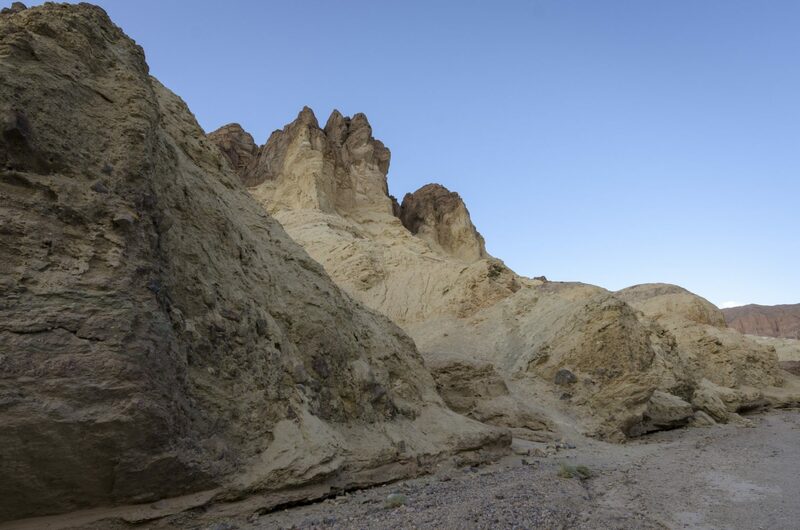 There are plenty of campsites in and around Furnace Creek all available in a first come first serve basis. 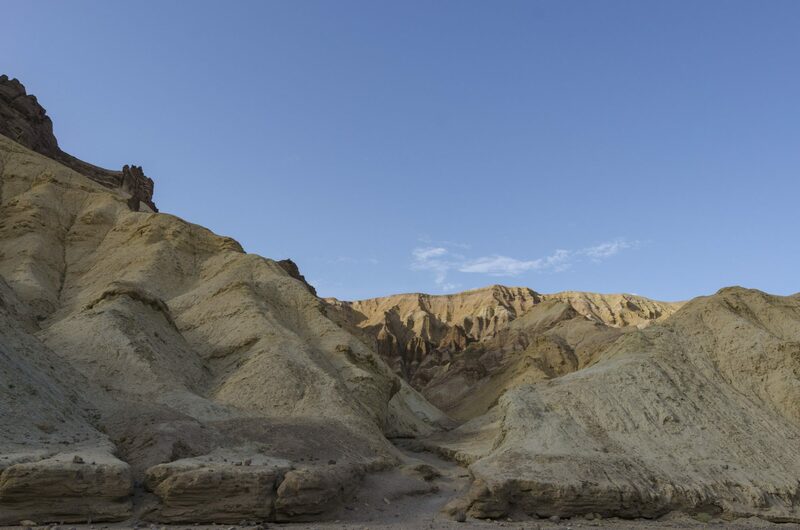 You can book your campsite at the Visitors Center or use the Campsite Kiosk. 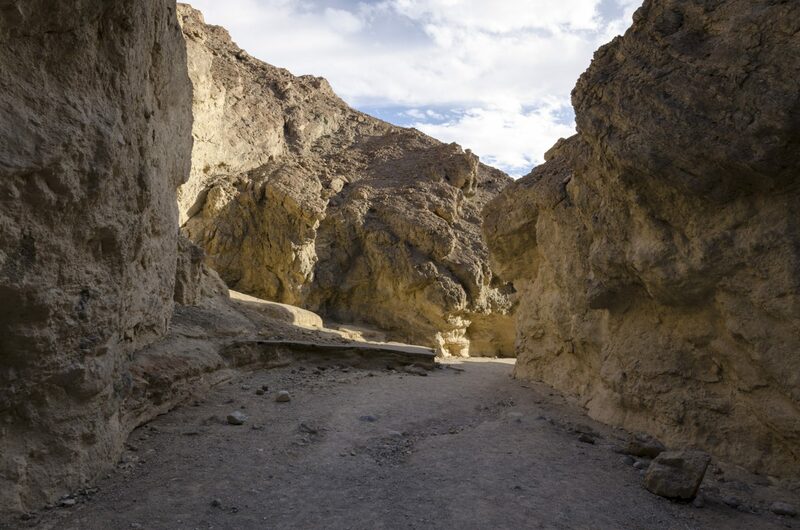 You have Furnace Creek Campground, Texas Springs Campground and Sunset Campground with decent facilities.